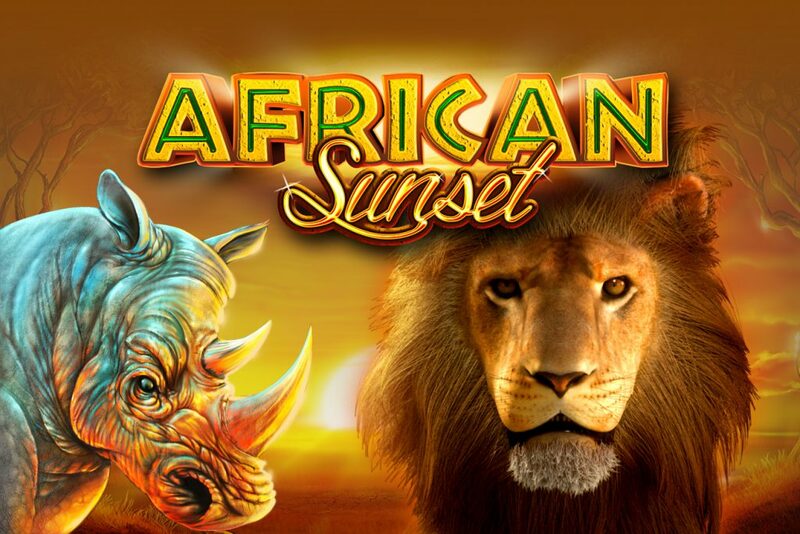 Welcome to the heart of Africa with the beautiful AFRICAN SUNSET slot game. 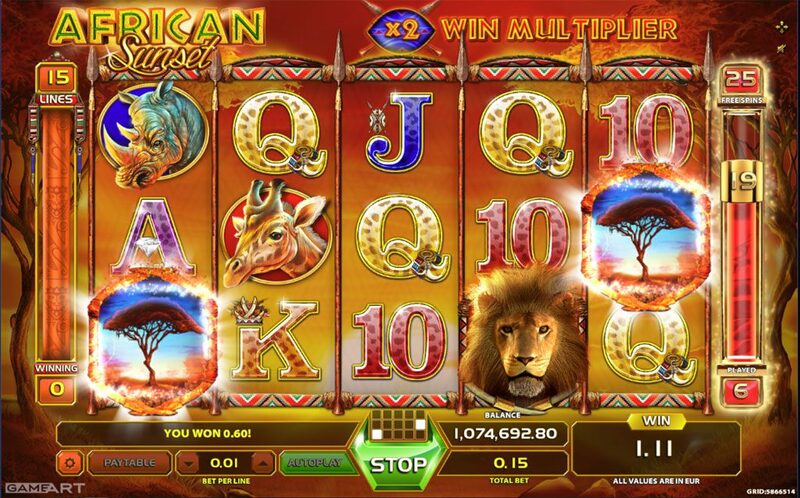 The African sounds in this 5 reel - 15 pay line game offer constant action together with its wild Lion and scatter Tree symbols – both being the bonus feature triggers. 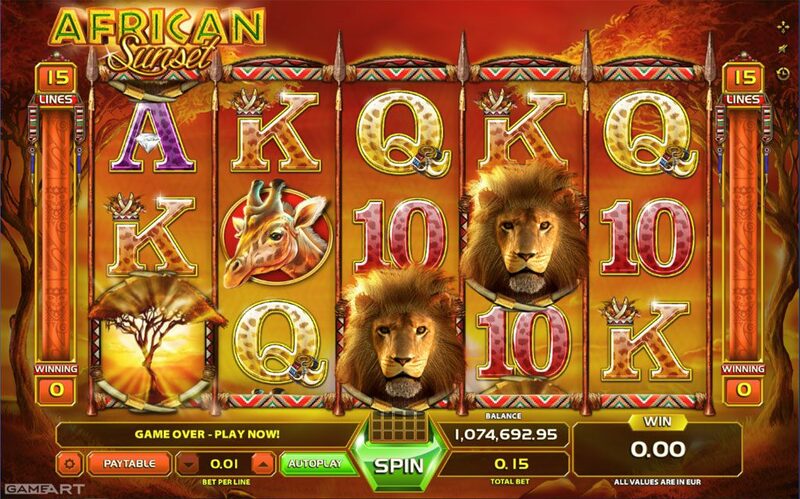 The bonus feature is triggered if the Lion symbol and/or a Tree symbol appear on reels 1 and 5 simultaneously, awarding 15 free spins. 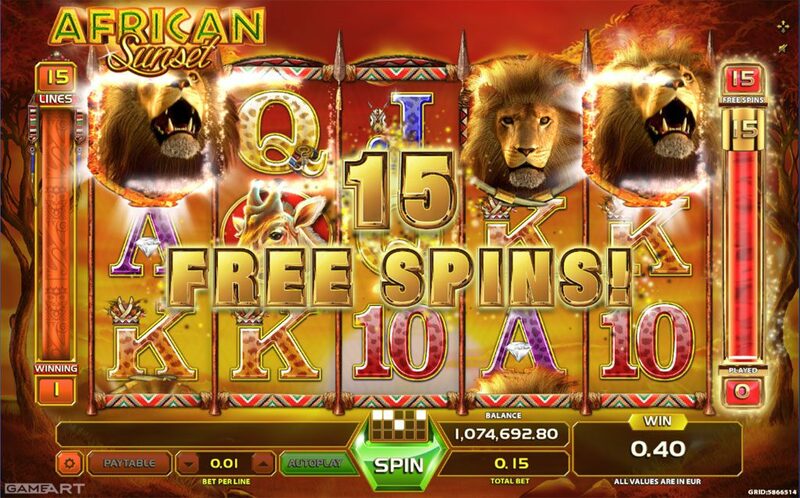 During free spins a random multiplier (x2, x3, x5 or x10) is selected for each win. Bonus feature can be retriggered during the free spins.